It hurts my heart, really it does, seeing those poor oblivious souls tramping around Mexico wearing their cargo pants and dockers, their floppy hats and Merrills but, lamentably, no cloaks of invisibility. Now, as I mentioned in my previous post, I get not caring what people think. When it comes to clothes however, my position is that it takes the same amount of time and effort to put on fashionable clothes as it does frumpy clothes. Why do some Americans dress for Mexico as if it was Philmont Scout Ranch? Ok, I admit it. I once bought an expensive pair of sandals from the Walking Store, convinced I’d need “practical” shoes in Mexico. In two months they were thrashed. Thank God because I felt ridiculous walking amongst all the women in their spectacular jeweled sandals in grocery stores and along beach boulevards alike. I’d catch my Mexican girlfriends making sad (yet always compassionate!) glances down at my feet and then quickly look away. Never again. Mexico has style. In doing a little reading, I discovered that the fashion industry represents 10% of Mexico’s GNP. Mexican designers (Andrés Jimenez, Manuel Cuevas, José Maria Torre, Ricardo Seco, and Edwardo Lucero for example) made their mark. Mexico City’s resurgence is driving designers to be more ambitious and it’s paying off with international attention. Yhe movie "Coco," although not about fashion, drew new attention to the vibrancy of Mexican culture that you can see in its fashion as well. I got a kick out of the way a London paper described it as the country’s "maximalist approach" to getting dressed. Seeing how my my Mexican girlfriends look for a night out, it's an apt term. Mexican women lay on the femininity; the make-up, the shoes, the jewelry. Don’t fight it, just fall in. The approach has influenced many designers, notably Italian design duo Dolce & Gabbana. What you’ll see in Mexico is clothing that combines European cuts with the natural fibers of Mexico, like cotton bark and agave. The beautiful textiles for which Mexico is known makes its way into handbags, shawls and even shoes. What does Mexican haute couture mean to the traveler or to even the person coming to Mexico for an extended stay who wants to bring no more than a suitcase and a carry on? 1. Jumpsuits are comfortable for plane rides and popular for Saturday shopping and brunches. I've been to stores that sell nothing but jumpsuits in Mexico. 2. A pair of dress dark jeans and a pair of white jeans, if body type and weather permit. If you don’t wear jeans, try a slim fit pant without logos, side zippers and all the other giveaway details of trekking wear. 3. A nice leather jacket (unless you are visiting the coast in the summer) can make any tee-shirt look good. Leave the fleece at home unless you’re hiking El Chichón. Denim jackets, blue or white, look good too and can come in handy for the unseasonable, unexpected cold snap. 4. A pure white tee-shirt and a pure black tee-shirt. (When Mexican women do white, it's blindingly white.) Purchase cool graphic tee-shirts when you get to Mexico from one of the boutiques. Stick with shirts made with natural fibers that breathe and rinse out better in a sink. Carry both long and short-sleeved tees. 5. Short boots, perhaps with inserts or arch supports for walking. If I can make a pair of excruciating Salomon ski boots comfortable for a whole day with special foot beds, you can do the same with a pair of stylish boots. Don't forget to break them in before you leave. 6. Leggings - (If nights are going to be cool) that can be worn with skirts or longish sweaters or dusters. Leggings are great to wear on planes with thick socks to keep swelling down. 7. An over-sized or unstructured blazer, another essential to dress up jeans. 9. Long silk dress - Since dining out in Mexico is so much more affordable, you’ll want to dine out more. In my opinion, Mexicans dress up more when they go out. 10. Inexpensive non-metal jewelry, made from fabric, plastic or wood. Mexican women in general tend to wear more jewelry than we do, but save the expensive pieces for special occasions. On weekend nights, most plazuelas have merchants selling reasonably-priced and attractive necklaces, cuffs, fans and earrings. Have some fun. "Well-heeled" - If you look closely, in Mexican beach towns, nice sandals are almost a status symbol. 11. Flats with some detail. Mexican women in beach towns feel about sandals the way Carrie Bradshaw felt about Manolos. Beautiful beaded, jeweled sandals are a status symbol worth the investment and take simple outfits to a new level. Huaraches are worn by men and women. 12. Mix the old with the new - Mix elements of Mexico’s indigenous culture represented by local artisans in jewelry and accessories. 13. A beanie - That’s right. With the right jeans and jacket, a beanie can cover your bed head and still be cute in an airport, on a bus or in a cantina. 14. A print skirt - Personally, this one’s not for me, but I have been told print skirts are better for travel as they don’t show dirt. 15. An umbrella for the sun. Even if you’re not at the beach, think about using a sun umbrella instead of ruining your hair with a hat. They are better protection from the sun, keep you cooler than a hat and Mexican women still carry them. Mexico does have cool, even cold weather in some places. Do your research and be prepared to layer items. 2, Find some graphic tees and hoodies. A great line is Ay Guay, a Mexican brand. You can also find tee shirts with sewn-on appliques that you can’t find in the States. 3. Huaraches, traditional leather sandals, are still popular. For a light, comfortable, cooling lace-up, men should also check out the Mexican brand Flexi. 4. Guayabera shirts are a traditional cotton or linen embroidered shirts that distinguished men wear on more formal occasions like weddings or parties, although you can also find some appropriate for the beach. These days, the shirt has become a kind of a retro fashion statement. Some stores specialize in selling only these shirts. Any guy planning on being in Mexico long enough should have one. It's a little like owning your own tuxedo. 5. Even older guys can handle a few leather bracelets. Evenings can be cool and scarves are worn in Mexico by men too. My older male friends in Spain feel very comfortable wearing panuelos , you should too. The fashion industry and the art world are almost the same movement in Mexico. You see art in shirts, handbags, jewelry and wraps. Bring your basics and look for accessories in Mexico to punch them up. Do a Google search for Mexican fashion bloggers for more ideas to inspire your shopping and your fashion journey in Mexico. Os Yapor and Francisco Alvarez have a great story and the perfect huarache. Fabulous After 40 - A blog full of style advice to take anywhere. Most recent post: The problem with the U.S is that we've forgotten how to hang-out. 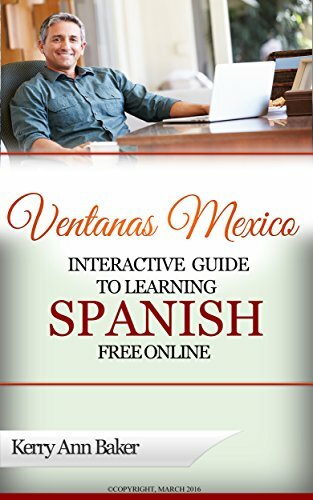 Hola, I'm Kerry Baker and a partner for Ventanas Mexico, providing resources to potential full- and part-time expats, including the "Interactive Guide to Learning Spanish Free Online." My Guide is completely interactive, enabling you to go via links to the best Spanish learning sites and free features on the web. These are resources you will never find on your own (like the sites in Spain). Use the book's lesson plans or create your own unique plan every day according to your mood. The book provides links and lesson plans for all the best resources on the web. 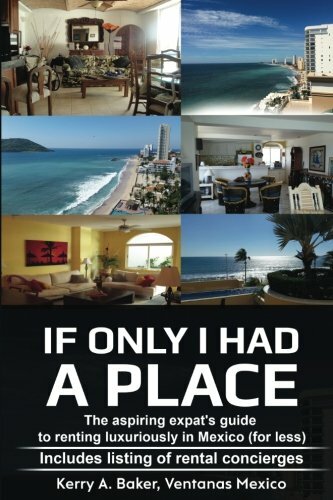 Recently released, "If Only I Had a Place," for aspiring expats seeking to live luxuriously in Mexico for less. More than a how-to, this book gives you the advantages and disadvantages of renting in Mexico and a listing of rental concierges who can preview your prospective place before putting your money on the line.